HWY 1 (Western Ave.) North through Connersville, left on W 30th Street to left on Highland Drive. 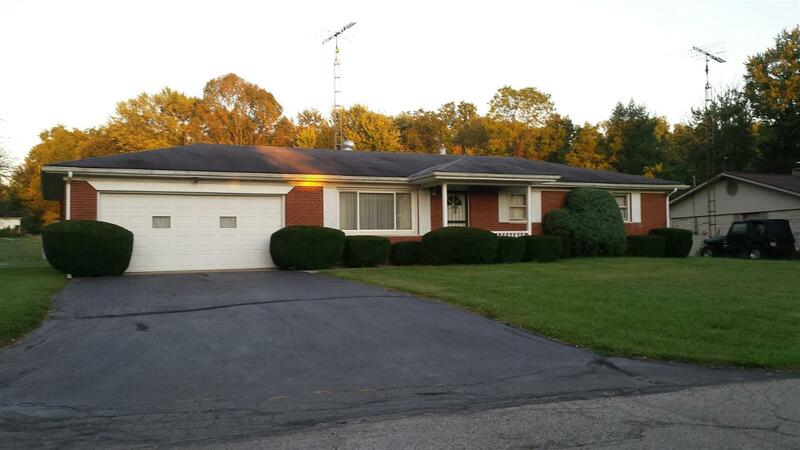 Move in ready brick ranch! Just add your finishing touches. Property located at end of quiet cul-de-sac in a desirable neighborhood. Take a look. Motivated seller. NOTE: This property was sold on 12/7/2017 and is no longer available. The details listed below are believed accurate to the date of the sale and are subject to change. In the early 20th century, Connersville was known as "Little Detroit" because of its importance to the automobile industry. At one time the Auburn, Cord, Lexington and McFarlan cars were made here. The city has also been nicknamed the “City of Industry”, and the “City of Champions”. Just as you cross into Fayette County in southeastern Indiana’s scenic Whitewater Valley, you’ll enter Connersville, the county seat. 15,400 residents make this one of southern Indiana’s biggest cities, although at 8 miles wide you can’t get lost. Residents claim Connersville is a small town with a big heart and heritage and its warm and inviting city invites you to linger awhile. It’s named for settler and fur trader John Conner. Connersville is located at the intersection of Indiana Rt. 1 and Rt. 44. Amtrak trains provides service to Connersville enroute to either Chicago or Cincinnati. Fayette Memorial Hospital provides for the needs of Connersville and Fayette County residents. Residents from several nearby communities come to Connersville for shopping, but larger purchases may require a trip into Cincinnati or Indianapolis. There’s plenty to do in Connersville both indoors and out. Connersville is a stop on the Whitewater Valley Railroad, Indiana's longest scenic railroad and museum. A busy community center, several playgrounds and parks, a teen skate park and pool make for an active recreation area. Birders will enjoy the Mary Grady Bird Sanctuary; hikers will enjoy the Schraeder Weaver Nature Preserve. Golfers find their way to the Connersville Country Club, and history buffs can check out the Canal House and History Museum on the National Register of Historic Places. Boaters of course will find their way to nearby Brookville Lake, southern Indiana’s recreation destination.